'By his very presence in Delhi on Republic Day, Obama is revisiting the most defining relationship of the 20th century after a period of stagnation,' says Ambassador T P Sreenivasan. The tug of war between US and Indian security agencies over the visit of POTUS (President Of The United States in internal documents) reported in the media is true to form. The fierce battles on every detail will give the impression that the preparation is for war and not for peace, friendship and cooperation. American protocol and security personnel will ride roughshod over their Indian counterparts. By the time the visit is declared a resounding success, marking another high point in India-US relations, many egos will clash, some heads will roll and many threats of the cancellation of the visit will be held out. Success is inevitable in the end as POTUS's presence at the Republic Day Parade on Rajpath will signify a landmark in India-US relations. Never has an American President shown up for the Republic Parade and nobody had even thought of inviting one of them, not even John F Kennedy or Bill Clinton. Significantly, nobody has questioned the Narendra Modi initiative and Barack Obama's ready acceptance of it. No black flag demonstrations are expected. No 'Yankee go home' placards, even with the addition, 'Take me with you!' will appear in Delhi. This is remarkable, considering that the one American President, who signed the nuclear deal, George W Bush, could not even address Parliament. It looks as though there is a consensus today on the importance of seeing Barack Obama in Delhi, the first US President to visit India a second time in office. The deterioration of our relations with Pakistan and China is the catalyst for this consensus. The brouhaha over Modi's Madison Square Garden and Central Park performance deflected attention from the very substantive agenda Obama and Modi set for themselves in their Joint Statement. Never before has there been such a comprehensive wish list, with clear indications of the way to go. A mere action report on that agenda will be sufficient to make the visit a success. Even if a few of them are brought to fruition, what is essentially a ceremonial visit will turn out to be a sensational success. In the old days, US Presidents came to India with gifts or promises of gifts. The last among them was George W Bush, who came to enjoy the glow of his nuclear gift. The situation changed in 2010, when Obama came not with a bundle of gifts, but with rolls of wish lists. His own re-election appeared to hang on the jobs to be created out of expected fighter aircraft and nuclear reactor deals with India. In fact, the disappointment over the non-consummation of these deals may have made Obama indifferent to India till he discovered the 'Man of Action' in Modi. Obama's wish list this time has three main items -- a 10-year renewal of the defence agreement, dilution of the nuclear liability law and an agreement on climate change, which will bury the Kyoto Protocol. The litmus test of his success lies in achieving these three and there is expectation that at least a certain amount of progress is possible in each of them. India's wishes are broader and less daunting -- trade, immigration and anti-terrorism, apart from political support on Afghanistan, Pakistan and China. Here, the interests are mutual and have the possibility of gradual resolution. The balance sheet of the visit therefore must please both Obama and Modi. Given Modi's twin objectives of foreign policy, namely, FDI and iron clad security, the US is a natural ally. He cannot get either of these in adequate measure from any other source. No wonder, then, that India and the US are burning the midnight oil to find satisfaction on the US wish list. Getting a robust defence agreement on our terms with possibility of co-designing and co-production fits in well with the Make In India initiative. Defence imports in recent years have already reached $10 billion and it can multiply under the Defence Trade and Technology Initiative, DTTI. There is even talk of cancellation of the fighter aircraft deal with Rafale to bring back F-18 into consideration. As for the nuclear liability law, Obama has no heart in nuclear trade with India, even though he is under pressure to pursue this issue. Left to him, Obama would be happier if he did not have to strengthen India's nuclear capability. Moreover, dilution of the liability law may not remove the last obstacle in nuclear trade with India. American lawyers have been saying, however, that there is no legal issue without a legal solution to it. A mix of relaxation of the law, together with a package of insurance policies is the way they are seeking to put together. But even if there is a delay in a solution beyond the visit, it will not detract from its success. 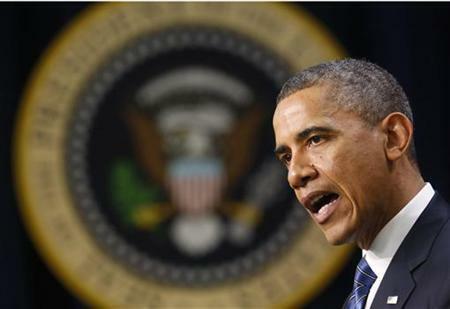 Obama will attach greater importance to an agreement on climate change than to nuclear liability. For him, it is a matter of great domestic importance. His historic achievement in Copenhagen of moving the world away from the Rio and Kyoto agreements was with the implicit support of India, though India has tried to renege on it in Bali and Peru. To bring India around in Paris is a dire necessity for him. Like he did before Copenhagen, he has already struck a deal with China. With no hope of imposing mandatory cuts only on the developed countries, India is likely to cave in and accept voluntary cuts for all, particularly if there is adequate compensation by way of trade and technology transfer. A substantial investment in environment friendly industries and adaptation measures will be irresistible. Progress on more nebulous Indian wishes will not make or break the visit. Most of them can be covered by innovative formulations. On terrorism, the US and the UK have already won Indian approbation by demanding action against (26/11 mastermind Zaki-ur-Rahman) Lakhvi. A stern warning has been issued to Pakistan not to engage in terrorism during POTUS's visit. The trade figures are already hovering around $100 billion. Obama has taken bold initiatives on immigration, paving the way for similar initiatives to meet Indian expectations even in the face of opposition in the united States Congress. On Afghanistan and Pakistan, finding acceptable formulations is not beyond the negotiating capabilities of Indian and American diplomats. Modi has not shown great attachment to the US position on India's permanent membership of the United Nations Security Council or on the Indian entry into the Nuclear Suppliers Group, Missile Technology Control Regime, the Wassenar Arrangement and the Australian Group. These will drag on as India's NPT status is a factor in them and the US cannot act decisively alone, even if it wishes to do so. The chief guests do not come to the Republic Day parades with heavy agendas. The occasion is ceremonial in nature and reflective of the warmth in bilateral relations. The guests come to celebrate special relationships, not to engage in tough negotiations. By his very presence in Delhi on Republic Day, Obama is revisiting the most defining relationship of the 20th century after a period of stagnation. With the advent of Narendra Modi and his experiments with China and Pakistan, POTUS at the parade will mark a game changer for India and the US. T P Sreenivasan is a former Ambassador of India and Governor for India at the IAEA; Executive Vice-Chairman, Kerala State Higher Education Council and Director General, Kerala International Centre. You can read Ambassador Sreenivasan's earlier columns here. Has Rajinikanth lost his mojo?